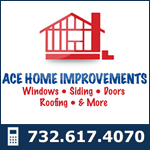 Since 1953, customers have come to Ace Home Improvements for quality home improvement products and expert installation. 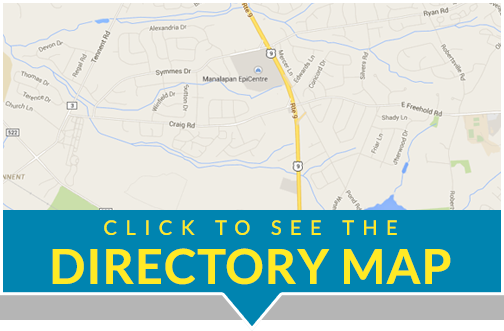 We currently serve all of Central New Jersey and the surrounding areas. Our family-owned and operated, third generation business, offers a vast array of home improvement products and services. One major advantage to consumers dealing with Ace Home Improvements is one-stop shopping with a company that distributes, installs and services its own products. All of installers are expertly trained craftsmen that follow the highest industry standards and have great pride in their crafts. Our installers each have their own specialty, so we will never send out a window installer to install your roof. Our customer service is second to none. Customers will always receive personal attention by a friendly, experienced and knowledgeable member of our staff. Ace Home Improvements also stands firmly behind every product it sells, servicing the manufacturers’ warranties that come with many products and offering its own warranty on installations. We have searched out the best products on the market and have been dealing with some manufacturers for over 50 years. Very often, customers call us to service products that were installed by someone other than Ace Aluminum. They don’t really know what brand of product it is, nor can they locate the installer. Ace will come to the home, identify the product, and come up with the most practical and economical solution to the problem. The Mega-Stores have a tendency to carry inferior quality products in order to keep prices low and to sell in large quantities. Many of them now offer home installations, but there is no consistency with quality. It’s really a hit-or-miss. This is because they hire sub-contractors who are willing to work for less. They seldom check the installer’s credentials and the quality of their work is often overlooked. More often than not, these installers lack the experience and the proper training. On any given day, you may get a very good installer with lots of experience, or you may get someone with very little experience who doesn’t really know what he’s doing. It’s a random crap shoot! This is never the case with Ace Home Improvements! We sell only the highest quality products in the industry. Our installers are thoroughly and rigorously checked before we hire them. We make sure they are factory trained and certified. Most of our installers have been with us for 10, even 20 years! You will always and consistently get superior quality installations! Ace Home Improvements is licensed and insured, and is a proud member of The Better Business Bureau (BBB), the National Federation of Independent Businesses (NFIB), The Monmouth County Chamber of Commerce. In the early 1950’s Gus Fisher had dreams. Dreams of leaving the busy streets of Brooklyn and moving to the open fields of Monmouth County. He wanted to run a chicken farm, but instead began going door-to-door in rural Freehold selling storm windows and storm doors. This gave birth to Ace Home Improvements in Freehold, NJ. Eventually, the building boom came along and Gus, along with his son-in-law Billy Karol, had found a niche selling aluminum doors, windows and other products to builders. Soon after, they started manufacturing their own porch enclosures. Soon after, Irving Stein (Gus’ son-in-law) and Barry Fisher (Gus’ son) joined the business. Together, Gus, Billy, Irving and Barry ran the company for many years. So when Gus retired in the mid-1970’s it was only natural that his son Barry and his two son-in-laws Billy and Irving would take over at the helm. During this period, the company experienced tremendous growth, expansion and a great deal of success. In the early 1990′s Billy & Irving eventually retired, leaving Barry Fisher as the sole owner. Then, in January 2000, Barry’s 27-year old son David, a Certified Public Accountant, decided to leave the corporate world and join his dad in the business. In August 2004, Ace Home Improvements relocated its showroom and office to Route 9 North, in Manalapan, NJ. After faithfully being in Downtown Freehold for over 50 years, it was finally time to move on to a much larger, more modern, and more accessible facility. Today Ace Home Improvements has developed into a very successful home improvement company, with a loyal customer base of over 100,000 satisfied customers, and has become a staple in the community.